This book is rated 5 star by no less than 37 Leeds Libraries readers. Shailene Woodley stars as Hazel, a teenager with terminal cancer, who falls in love with Augustus Waters, played by Ansel Elgort. The novel was number one on The New York Times bestseller list. The film is due out in June 2014, and includes Sam Trammell in support, who plays the shapeshifter Sam Merlotte in True Blood. Alexander Skarsgard who plays Erc in True Blood is in this one with Taylor Swift and Katie Holmes. The science fiction movie is due in August. The novel was published in 1993, was first suggested for a film more than 15 years ago. 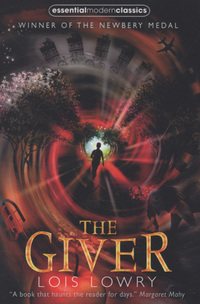 The main character, Jonas, lives in a community who have eliminated pain, instead choosing “sameness”. Aged 12, he is chosen to become the Receiver of Memory, gaining knowledge of the time before, when unhappiness still existed. This entry was posted in Film Tie In and tagged Film, True Blood. Bookmark the permalink. 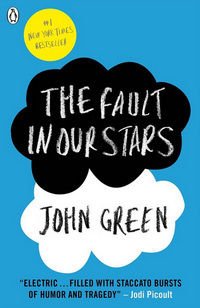 I’m excited for the Fault in our Stars movie. It was such a great book!